butter LONDON is high on our nail lacquer favorites list. Not only do they have an extremely varied color palette, but the polishes are all long lasting and easy to apply! 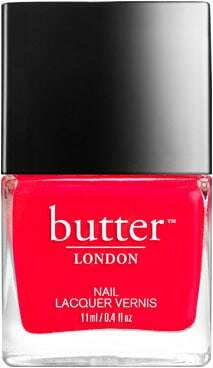 They’re not just about nails though – butter LONDON makes other beauty products as well! 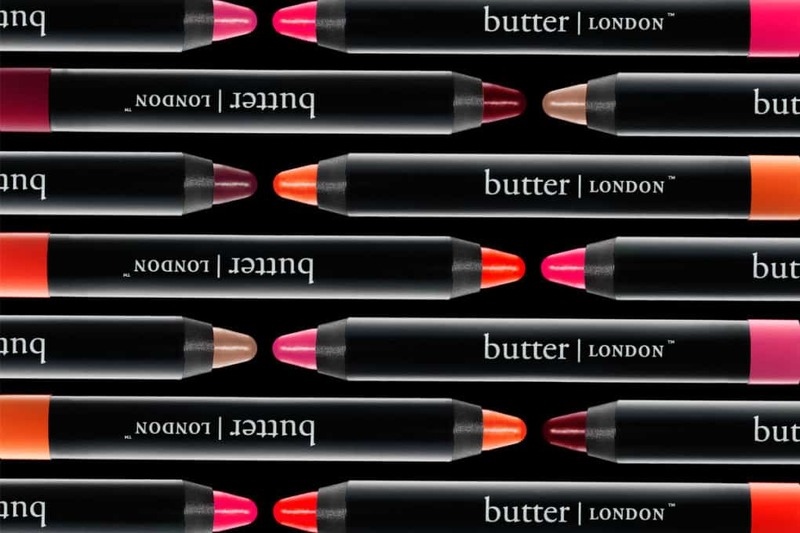 Today’s giveaway will show you a glimpse of the entire butter LONDON experience, and their website will teach you some great British slang too! The main thing to know about butter LONDON, if you don’t already, is that they pride themselves on eye catching colors that are meant to be used as symbols of self-expression. This is true whether it’s about the products in their traditional nail lacquer line or in their newer line of lip crayons. In addition to bold colors, butter LONDON focuses on cosmetics that encourages creativity, and they’re looking to lead the discussion about styling beauty as an accessory. As for ingredients, butter LONDON’s high-fashion color without compromise means they never add Formaldehyde, Toluene, DBP, phthalates or parabens to any of their products. Nail Lacquer Vernis, Ladybird Red ($15) – The vibrant, “tomato red” nail polish is perfect for any occasion, from everyday wear to red carpet appearances. No matter the situation, your nails will get attention! Iconoclast Mega Volume Lacquer Mascara ($20) – Intense, jet-black shine and beautiful lift for ultra-bold lashes. Conditioning formula thickens as it separates and an innovative molded brush ensures full and even application. Lippy Bloody Brilliant Lip Crayon, Ladybird Red ($20) – Long-lasting, all-in-one formula delivers lacquer-like shine and high-fashion color. Mango Seed and Marula Oils keep those lips moist and kissable!